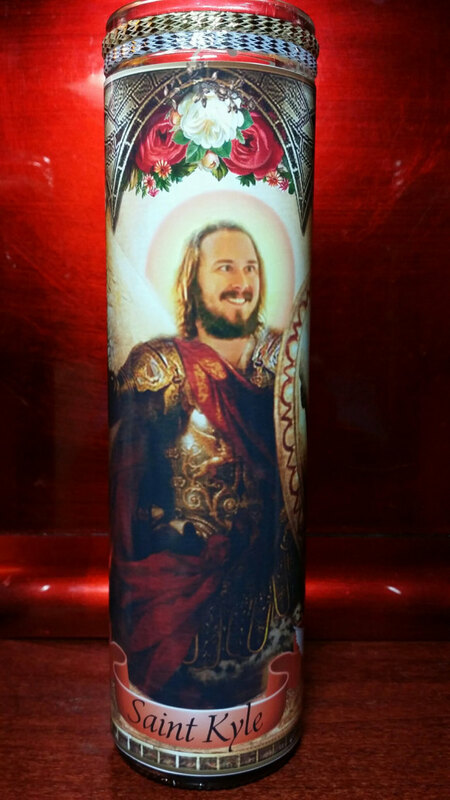 Kyle Hevacheck (Kyle Newacheck) celebrity saint prayer candle. 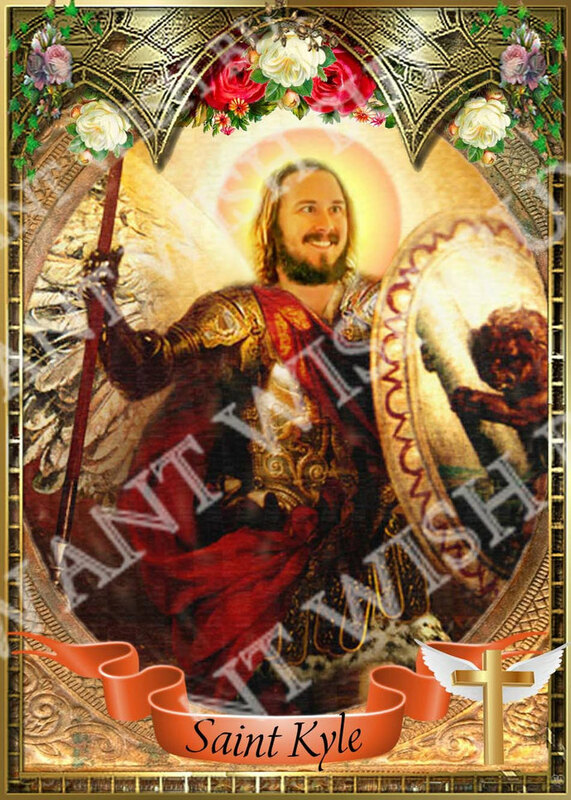 Here he is featured as a sainted archangel. Who knew? 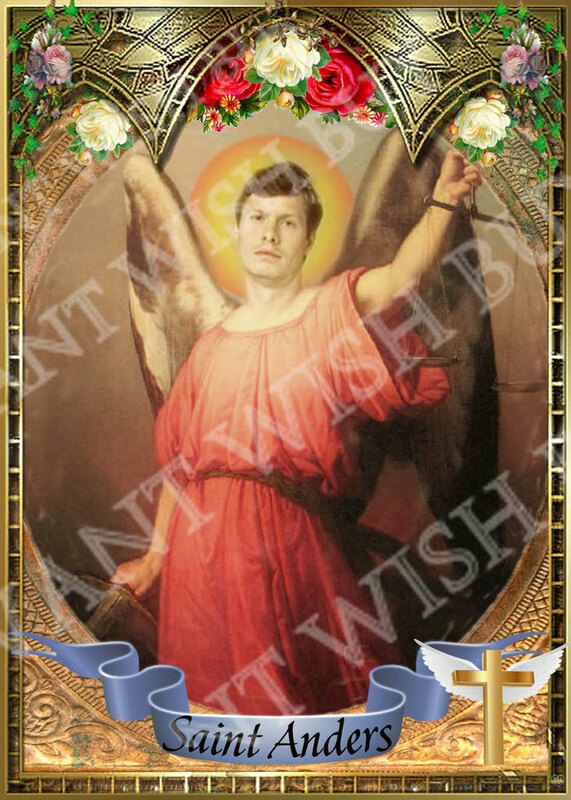 Comes with blue, red, green or white unscented wax (depends on what I have available - usually white). 8" tall with glossy label. 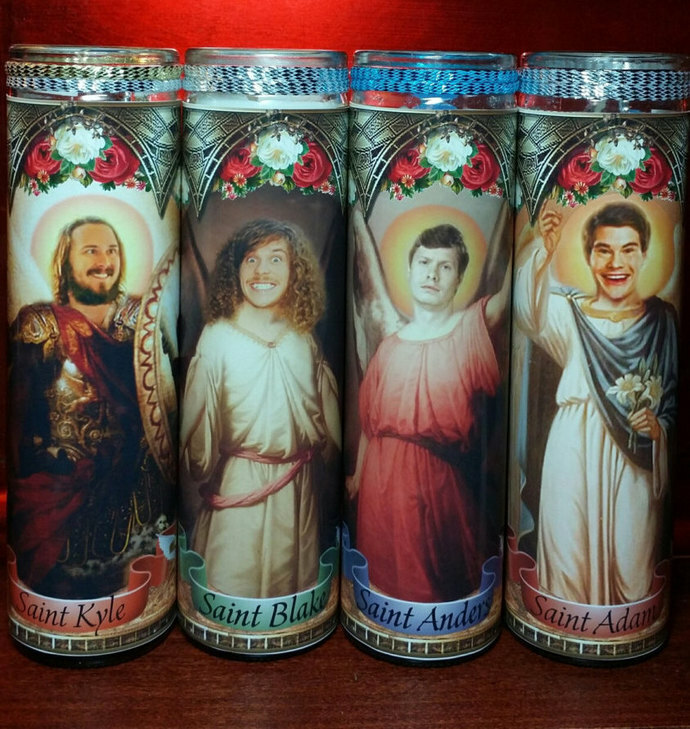 Also have Blake, Adam andAnders...as well as the set of 4 discounted with discounted shipping in other listings (pictured are the set of 4)..Makes a nice addition to your room or as a gift. 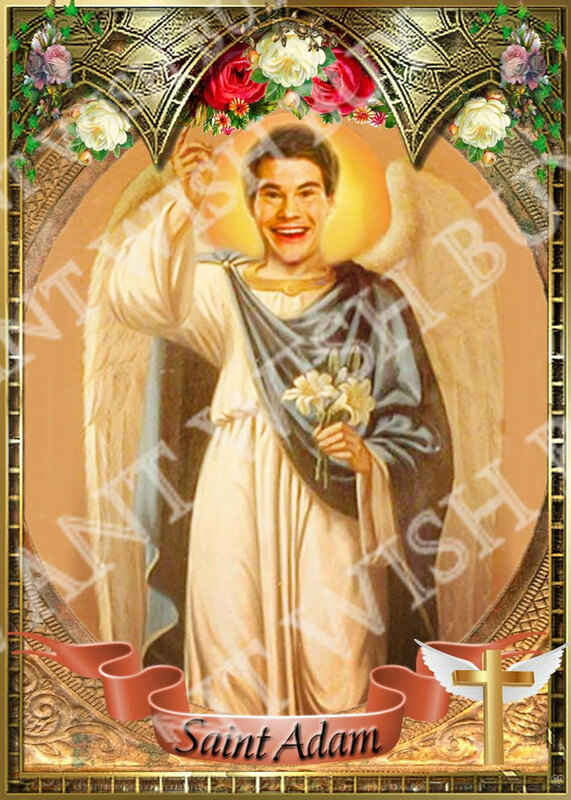 Perfect gift for that crazy Workaholic fan!